Imitation is indeed the sincerest form of flattery, and the internet has made it easier to exhibit such tributes to the masses. It used to be that the influence of an instant classic would take time to show up in popular culture. Now, thanks to video sharing websites like YouTube, homages and imitations can show up in a matter of months, weeks, or even days. LBP Stunts Chicago has taken full advantage of such resources, and frequently uses them to channel their various influences into a number of creative ventures. They have recently done so with The Raid: Redemption, offering their take Gareth Evan’s martial arts masterpiece in less than 60 seconds. Anyone who’s been reading Scottscope for the past year or so should be somewhat familiar with the work of LBP. It’s consistently high quality and endlessly inventive. This “practice fight” is no different. It matches the mood and intensity of the film that inspired it, sans the profuse bloodletting. By doing so, it inadvertently reveals that a fight scene need not be gory to be visceral. That’s the wonderful thing about films like The Raid. They inspire truly talented and creative people to stretch themselves and explore new territory. 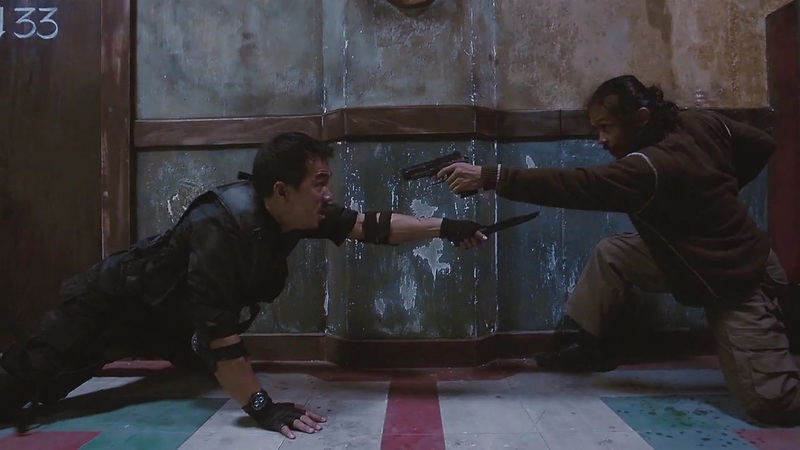 Some action flicks can’t produce a single compelling fight scene in the space of two hours. LBP Stunts manages that in less than a minute.